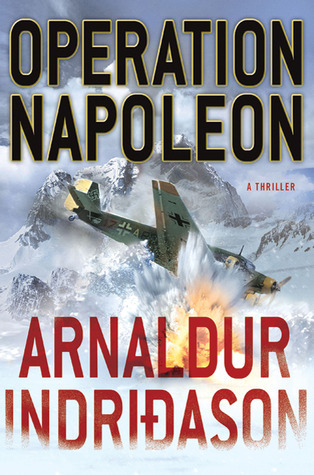 This entry was posted on Tuesday, January 10, 2012 and is filed under Adventure,Artic,Mystery,Operation Napoleon by Arnaldur Indriðason Week 2 book 2 review,Thriller,WWII. You can follow any responses to this entry through the RSS 2.0. You can leave a response. I was just looking at that one while I was on my most recent library trip a couple of days ago and was thinking about getting it but then forgot to check out some reviews...yours definetly convinced me that I should give this author a chance. Thanks for adding to my TBR list! I tend to read mostly mystery/thrillers, but I don't like to limit myself.